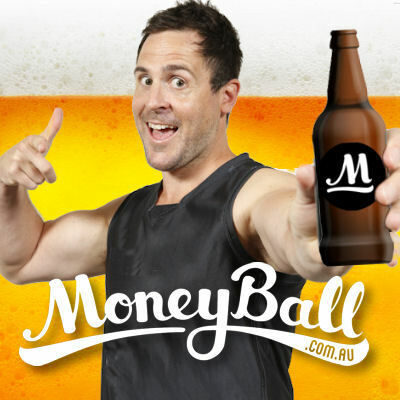 Roy’s tips to help you cash in on Moneyball’s $5K Sunday Funday. Today, we focus on Sunday Funday, which covers three games which you can use a combination of players to create your team. Basically, using the salary cap, you select players to form a team (like you would in AFL Fantasy) and depending on how they score (+3 kick, +4 tackle… normal Fantasy scoring), your team will be ranked and from your $15 entry fee, you can win big bucks. There are some big dogs playing today so we need to find some value picks in order to grab them. Now, given the Saints are number one for allowing opposition players to score 100 points so I think it creates a happy hunting ground. Tom Phillips (MID, $6,600) is a proven scorer over his short career and is coming off 103 from 27 touches last week. Leigh Montgna (MID, $8,400) showed last week that he hasn’t lost it. The Saint veteran provides a bargain selection on the back of his 30 possessions which included an impressive 24 kick, nine marks and a goal for 135. Worth a look against the Pies who don’t mind giving up a few points. Stefan Martin (RUC, $8,500) Although there are some impressive rucks on the slate, I am going with the in form Stef based on value and match up. He is going up against the Tigers who have given up the equal second most points to opposition rucks after Grundy and Kreuzer have already gone to town on them with 123 and 120 respectively. He is also coming off 126 last week. Dayne Beams (MID, $9,000) With a lot of the star players rite-fully coming in at a huge asking price, Beams provides good value given his form and ceiling. Last week he had 30 touches, five marks and worked his backside off with eight tackles and a goal for 124. Definitely under priced. Dylan Roberton (DEF, $6,800) Has been provided with plenty of space to work recently and his scores have reflected that. He followed up a whopping 112 with an impressive 90 last week from 20 possessions with 18 kicks, six marks and four tackles. Heavily under priced if he can get in that range again. It is not every day you consider playing two rucks by taking advantage of the utility position, but it may be worth doing with Brodie Grundy (RUC,$9,900). He is coming off scores of 123 and 133 and is match up with the Saints who are giving up the equal most points to opposition rucks. The big fella is going to have an absolute field day.